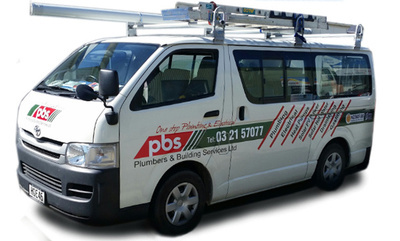 PBS are your one-stop solution for Plumbing, Electrical, Drainlaying, Heating and Gasfitting, providing solutions to Southland, Central Lakes and Central Otago for over 30 years. The Invercargill branch, currently led by Ron Vermeulen and Grayson Dolan, has been built from the ground up with a lot of hard work, using their extensive knowledge. PBS work across both domestic and commercial and staff bring their experience from big projects, to every small project they do. PBS also operate a branch in Arrowtown (Queenstown), let by Wayne Patterson. Wayne and his experienced team deliver the same high-quality service across the plumbing, drainlaying and gasfitting trades. With a ‘one call does it all’ service, PBS clients only need one point of contact, offering them better peace of mind and easy communication. The success and continued expansion of PBS is based on giving sound and solid advice to clients, offering practical no-fuss problem solving and using the best products in line with customers needs and budget. PBS work with the latest in technology and energy consumption to provide clients with a reduction in costs and the best possible solutions. PBS has a team of over 25 tradespeople who are qualified experts at what they do. PBS is a member of SiteSafe and the Master Plumbers Association. All plumbing work is covered by the Master Plumbers guarantee. PBS are members of the Institute of Refrigeration Heating & Air Conditioning Engineers of New Zealand Inc (IRHACE). When it comes to solar energy, PBS are part of the Solar Association of NZ and Sustainable Electricity Association New Zealand. Plumbers & Building Services (PBS) has been a large part of Grayson’s life as his father was a founding member of the company. Grayson grew up in the business, spending every school holidays working, so it was a natural progression for him to enter the industry. After four years spent overseas on his OE, he joined PBS fulltime in 2001, becoming a Director in 2009. Grayson has been a registered electrician for over 20 years and a certifying plumber, gasfitter, and drainlayer for over 10 years. Grayson was pivotal in expanding the business into electrical and heads the electrical and heating division of PBS. What sets PBS apart is that the staff are multi-skilled and cover a wide range of trade services. Clients choose PBS as we are the company that can do everything, apart from building the house. This allows customers to have just one point of contact which is incredibly convenient for them. For Grayson, it’s all about seeing people’s ideas and dreams come to fruition. It’s really rewarding to see projects completed to a high standard with happy clients at the end of it. Outside of work Grayson enjoys spending time with his wife and four boys and is a big sports fan, especially enjoying golf, fishing, rugby, boxing, and horse racing. Ron is one of the founding members of Plumbers & Building Services (PBS), who has been with PBS since it began in 1994. He has a wealth of experience under his belt, with over 30 years as a certifying registered plumber, gasfitter and drainlayer. He is also a certified IQP Backflow Tester and has been for over six years. Ron believes in giving good advice to clients, to ensure they get the best system they can within their budget. For Ron, it's about doing quality work and doing it once. Sounding out a project from the beginning and keeping clients informed throughout the process is key to the success of PBS. Ron is an Invercargill local who went to school and did his apprenticeship in Invercargill, so he has a lot of knowledge about the local area and the requirements of the region. Outside of work he enjoys spending time on his boat, fishing and sailing. At the weekend you might find him renovating, working on an old car or spending time with his family out on the lake. Wayne has been in the plumbing, gasfitting and drainlaying industry for close to 40 years. Wayne is one of the founding members of Plumbers and Building Services (PBS) who has been with PBS since it began in 1994. He manages the Queenstown and Central Lakes branch of PBS situated in Arrowtown. Wayne believes what sets PBS apart is their level of communication with their clients, and their loyalty. PBS work hard to solve problems and create solutions for their clients. This means they provide their clients with more than just a ‘jobs done’ attitude, but work with them to ensure projects are completed to their clients standards. Wayne is actively involved in the local community. He was a volunteer in the fire brigade for over 15 years and is currently house manager of the Arrowtown Bowling Club. On the weekends you’ll catch Wayne out hunting and fishing. I really have appreciated working with you,Grayson, and the Plumbers and Building Services team. We have overcome some big hurdles with the system at our building in Invercargill and much of it I put down to your diligence and patience in getting the balance right. A very big thank you.